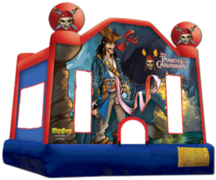 3 Monkeys Inflatables is your Inflatable and Party Rental Specialist for many Pennsylvania cities such as York, Lancaster, Harrisburg, Red Lion, Dover, Hanover, and many more. 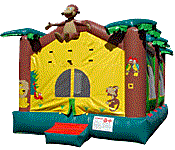 3 Monkeys Inflatables offers a huge selection of themed and generic bounce houses to choose from. 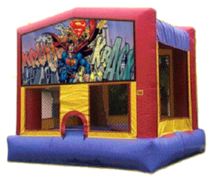 We have the most unique as well as the most popular and current themed bounce houses such as Disney Princess, Unicorn, Tie Dye, Jungle, Batman, Superman, Pirate, and many more. 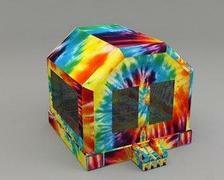 Bounce houses are timeless attractions for children. 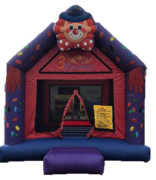 They offer fun while getting exercise as well so you don't have to worry about your children sitting around while the bounce house is there. Children wear themselves out jumping and playing. 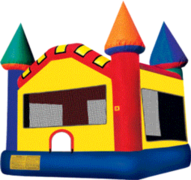 All of our bounce houses are high quality commercial bounce houses that are lead-free and safe for children to play in. Our inflatables are cleaned and sanitized with every use, and on site with a spot clean for your safety. 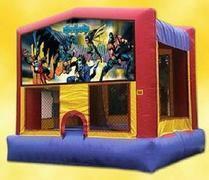 Since all of our bounce houses are commercial bounce houses, adults are welcome to use the bounce house as well. 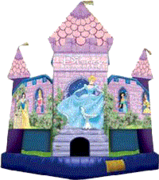 We do not use illegal banners on our bounce houses and ensure that any theme you rent from our company is licensed and legal for use. 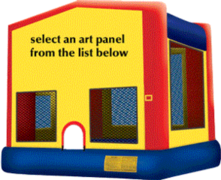 We would love the opportunity to provide a bounce house rental for your next party or event.